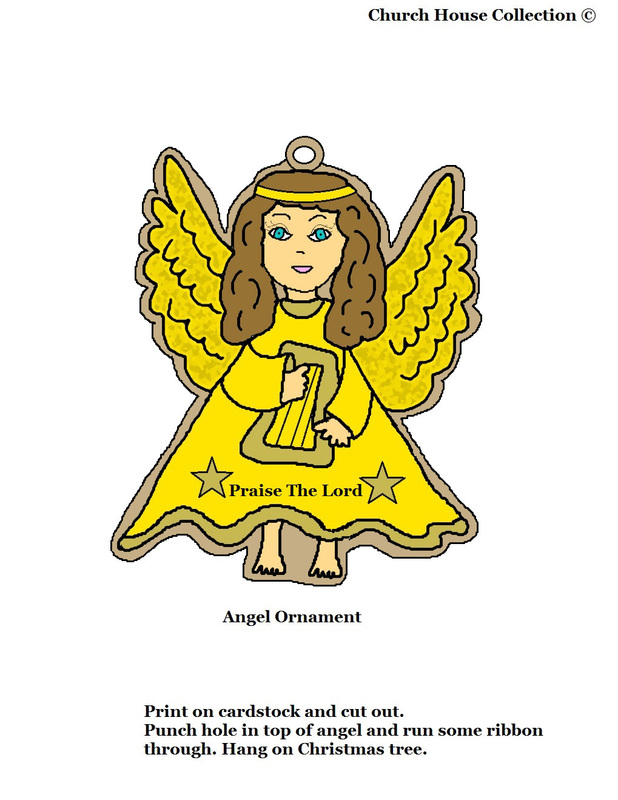 Here is a Printable Angel Ornament that I made. It has the words, "Praise the Lord" on the front of her dress. She is holding a harp in her hand. I just drew this little angel out and printed it out on cardstock. I cut it out and punched a hole in the top and ran some yellow ribbon through and tied in a bow. I hung it on the Christmas tree. If you wanted you could use glitter glue to paint on the wings. Or if you really like glitter, then just cover the whole angel in it. This will really make it sparkle! You could also laminate these ornaments so that way they will last a long time. We have two templates to pick from. One is black and white so kids can color it first or you can print the colored template. This would be a great craft for the kids to do in Children's Church and let them color them and then hang them on their tree at home. They could also give it as a gift to someone they love. Combine this with our Angel "Praise The Lord" Lesson. It has matching stuff to go with it.